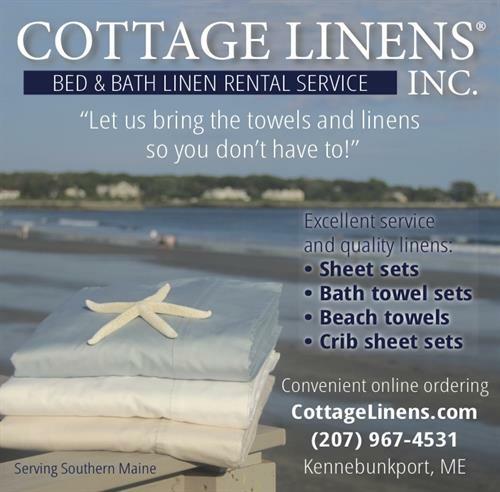 Premier Bed and Bath Linen Rental service for vacation renters in coastal Southern Maine. We supply clean, fresh, quality sheet and towel sets right to the door of your cottage. Our goal is to add value and convenience to the cottage rental experience for visitors to our beautiful Southern Maine beaches!